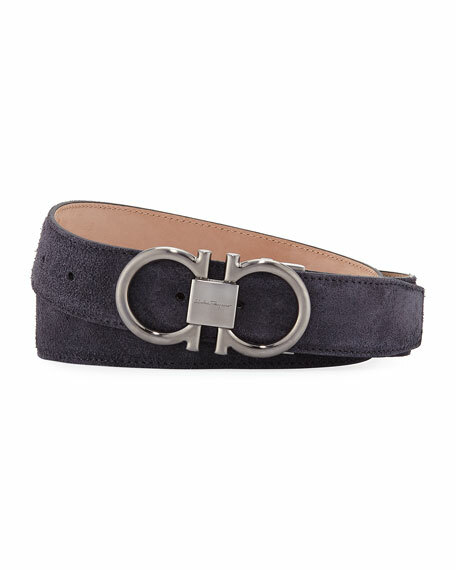 Salvatore Ferragamo belt in suede. Men's calfskin belt reverses to black or brown. Silvertone double Gancini buckle. Engraved wooden logo at center. Five hole adjustment.